Gamma Sports has been designing and manufacturing stringing machines for more than 25 years. Whether you need a stringer for your home or business, you can trust that the Progression will be your go-to machine. This machine can be used on tennis, racquetball, squash or badminton rackets. This table top stringing machine is made to last for years and features a broad base design and diamond-coated rotational ratchet gripper. With the Gamma Progression, you can be sure to get the perfect string tension that matches your exact needs. 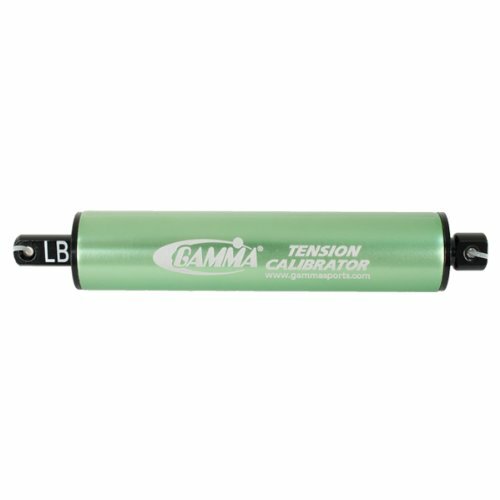 Our stringing machines features a drop weight tensioning mechanism with a 9 to 90 pound range. It’s also equipped with a nickel chrome plated steel bar turntable that rotates 360 degree for maximum agility and stringing ease. Here at Gamma Sports, we want to make racket stringing as easy and safe as possible. 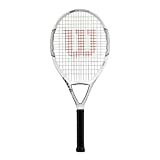 This stringing machine features 2 composite floating clamps and a two-point racquet mounting system or a 6-point Quick Mount System that will keep the racket firmly in place. This machine is a great entry level stringer and has the same easy-to-use features as more advanced models. When you’re stringing, you need to have all your tools within arm’s reach to make the process as easy and headache-free as possible. The Gamma Progression features a built-in tray designed to keep your stringing tools and accessories near you while you work. And when you’re done, just close the tray to keep your awls and other tools safe and sound so you don’t misplace them. When you get the Gamma Progression, you’ll be ready to start stringing as soon as it arrives. Along with the stringing machine you also get a Gamma Pathfinder Awl, straight awl, hex wrenches and straight pliers with cutter. You also get 3 sets of quality Gamma tennis strings and a United States Racquets Stringer’s Association Getting Started Stringing Guide.